For the first time ever, scientists have identified thousands of black holes lurking at the center of our galaxy. Scientists have long suspected that black holes might exist in the middle of the Milky Way, but until now, they haven’t been able to find any evidence. Now, thanks to new research, scientists believe that there are over 10,000 of them swirling together out there. 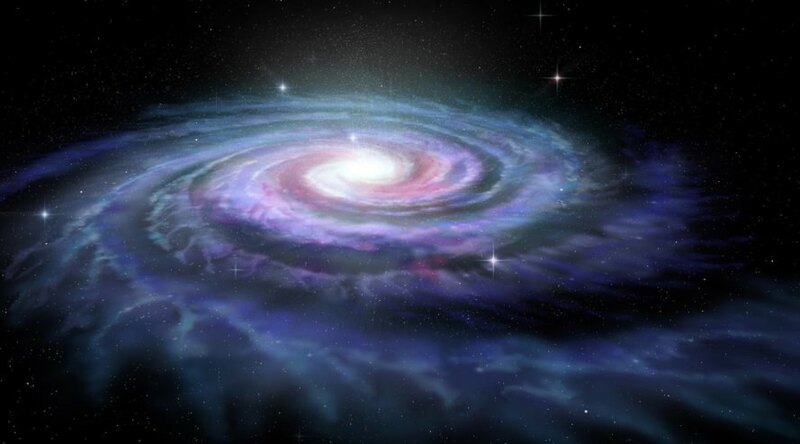 According to a study published in the journal Nature this week, the center of the Milky Way holds 10,000 small black holes that have been previously undetected. Some of these smaller black holes interact with the supermassive black hole known as Sagittarius A* at the core of the galaxy, and give us a peek into how our galaxy formed. Using the Chandra X-ray Observatory space telescope, scientists began hunting around for the signature low-level radiation that mark binaries of stars and black holes locked together in space. “When black holes mate with a low mass star, the marriage emits X-ray bursts that are weaker, but consistent and detectable. If we could find black holes that are coupled with low mass stars and we know what fraction of black holes will mate with low mass stars, we could scientifically infer the population of isolated black holes out there,” lead author Chuck Hailey said. By using this method, they located dozens of binaries near Saggitarius A* and, from there, determined that there were thousands more out there. Not only can this information help us understand how the Milky Way originated, but it could help us understand other galaxies as well. For the first time ever, scientists have identified thousands of black holes lurking at the center of our galaxy. Scientists have long suspected that black holes might exist in the middle of the Milky Way, but until now, they haven't been able to find any evidence. Now, thanks to new research, scientists believe that there are over 10,000 of them swirling together out there.